There are some things in life that are just plain divisive. Love ’em or hate ’em. No middle ground. 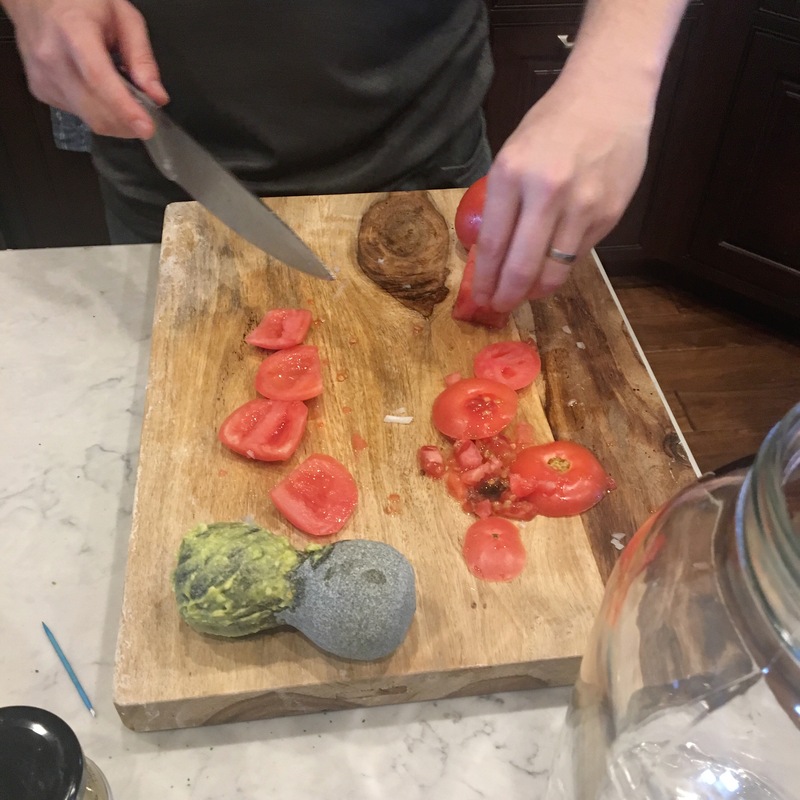 The bizarrely creamy texture and baby poop green color turns off a lot of folks, but the avocado-y goodness broken up with chunks of onion and tomato are a huge turn on for others. 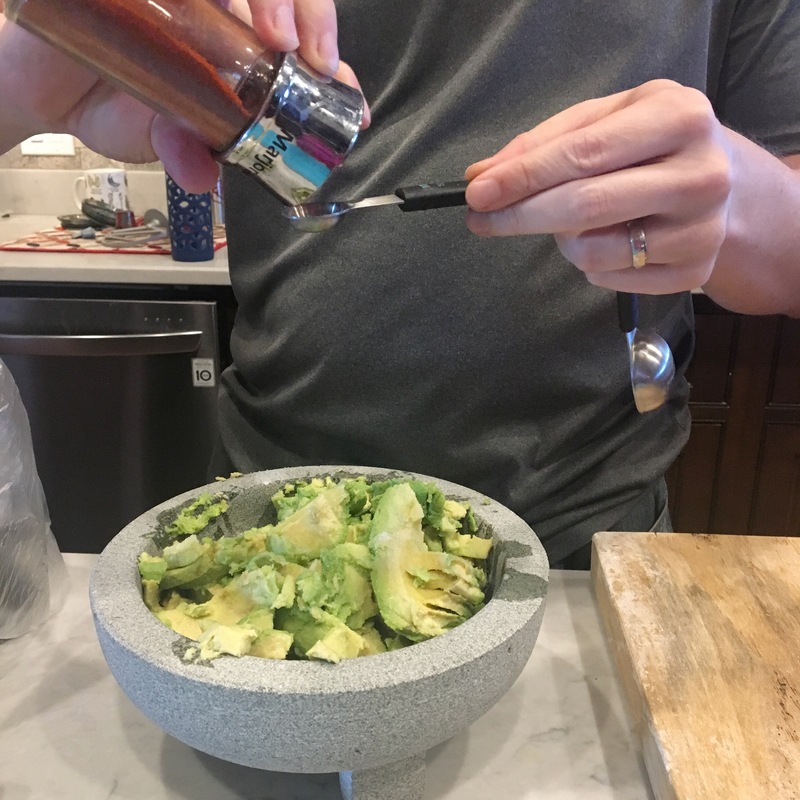 Dear Husband LOVES guac and will sometimes eat it as his meal when we go out for Mexican. I grew up hating it but basically had a flip switched one day and now love it. Chrissy Teigen even has a slightly sacrilegious guacamole recipe in her Cravings cookbook that has cheese in it. So, here’s our personal recipe for guacamole. We start with four ripe avocados. It is crucial that they be sufficiently soft, otherwise muddling them will be difficult. Next we add the spices: 1 teaspoon cayenne pepper and 1 teaspoon salt. I like things really spicy, so I could personally probably go for even more cayenne. 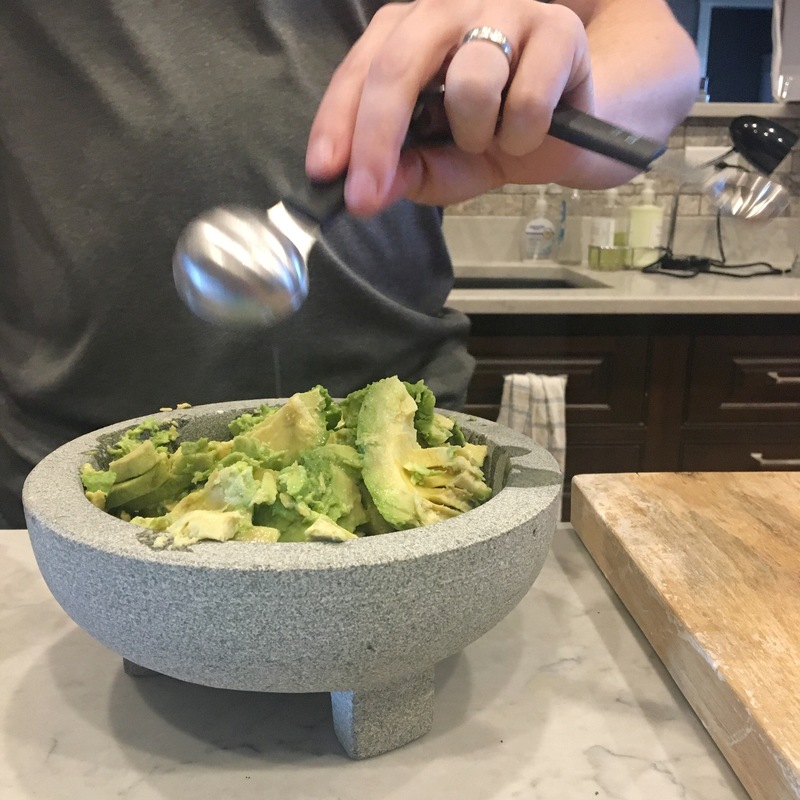 After that, we squeeze in 3 tablespoons of lime juice (ideally fresh) and muddle the avocado, spices, and lime juice in our favorite mortar and pestle. Next come my favorite ingredients: the chopped white onion (one half will do), two small chopped tomatoes (I prefer tomatoes on the vine), and a handful of chopped fresh green onions. Finally, garnish with chopped fresh cilantro as desired, and enjoy! Tell me, what is your favorite party dip? Do you love or hate guacamole? Would you ever try it with cheese? I’m not going to lie, I hate guacamole! I hate avocados, so it kind of starts it off on a bad foot haha. I do like cheese, though… Now I want taco dip… I’m going to share this recipe with some friends!! It is totally not for everyone! Like I said I hated it for the longest time. Taco dip sounds amazing now!! That looks delish! 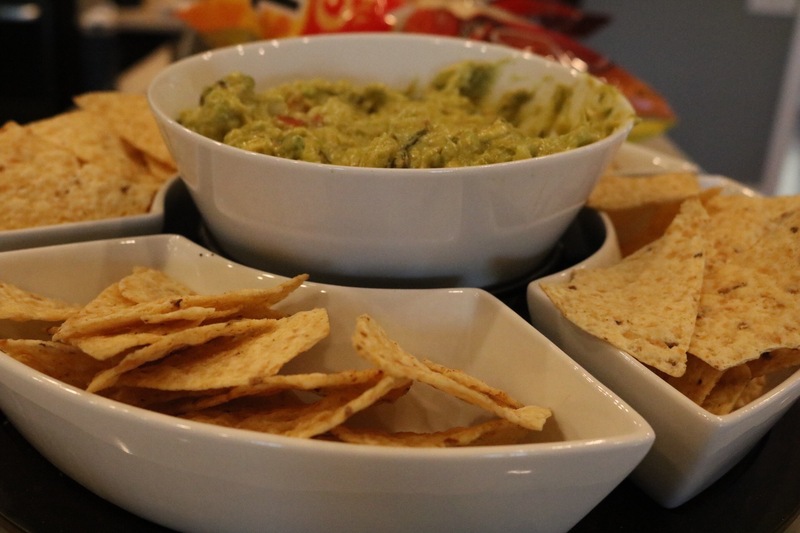 I love avocado in every way — especially a 3-layer Mexican dip: guacamole, quark, salsa. Olé! Thank you!! Avocado is such an amazing food, isn’t it?? What is quark? Any kind of layered dip sounds amazing! I can go for fresh guac. The way you made it is kinda cool. Oh definitely fresh is the best. I usually dislike premade guacamole that is mushy and practically brown. I like whole chunks of fresh avocado in mine! I love guacamole! I’ve tried the Chrissy Teigen version and it is sacrilegiously delicious. 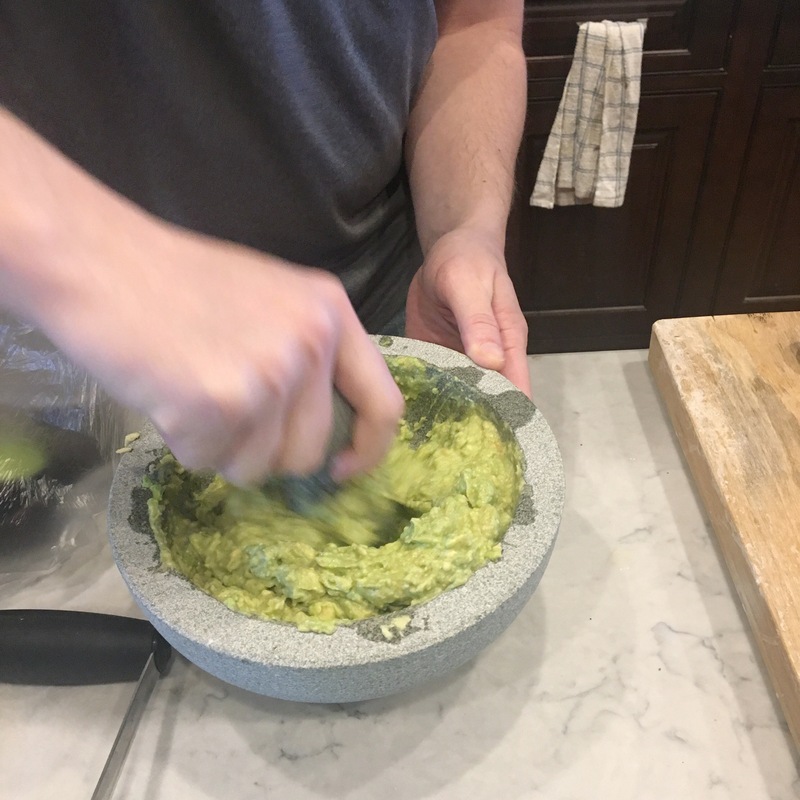 For my own personal recipe, I learned from a guy I briefly dated in undergrad to mix a few tablespoons of spicy tomatillo salsa (homemade is best) in your guac! I also had a weird health food obsessed roommate who made broccomole, which is exactly what it sounds like. It was puréed broccoli and Greek yogurt… it was NOT worth the calories saved. Yuck. It was NOT good! Super grainy and strange! Haha ew broccomole sounds … interesting? The texture just sounds like it would be gross! Exactly! Broccoli is like one of my favorite veggies, but let’s not go ruining it by pureeing it! I am SO trying Chrissy’s version next time I make it, which actually might be tomorrow night for an impromptu Oscar watch party. And making it with tomatillo salsa sounds really good! The tomatillo (I always use extra spicy salsa) adds a nice cohesiveness and heat, and makes the texture a bit more smooth! And be sure to use shredded cheese! Shredded cheese makes it much easier! Cheddar is a good one to use for her recipe! 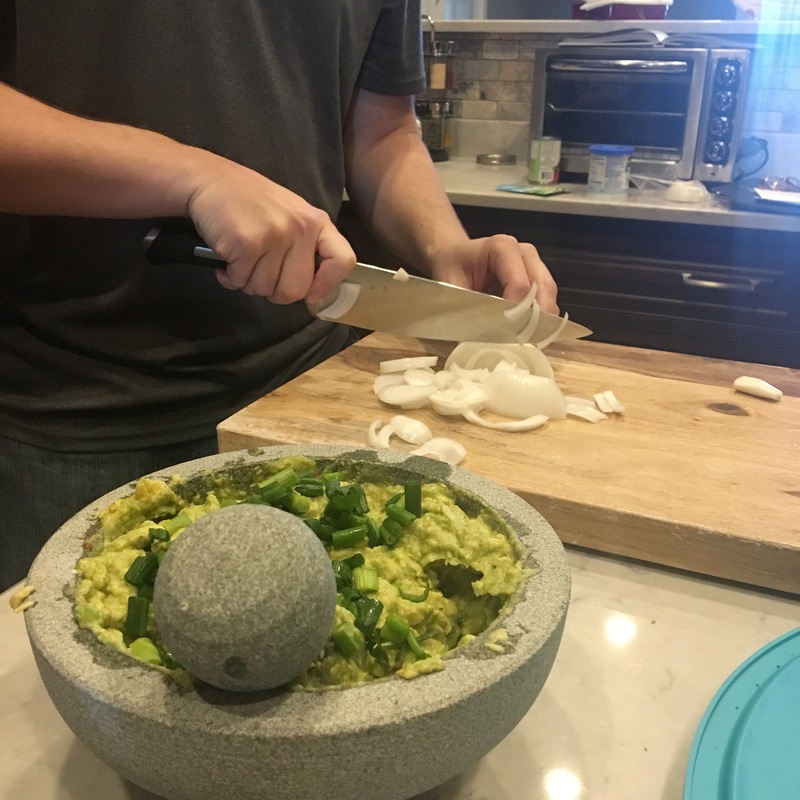 OMG I loooooove guacamole… and now you’ve made me hungry… my hubs hates it. Definitely no middle grounds in our house! MUST.MAKE.GUAC. I LOVE avocados and guacamole! Yours looks SO GOOD!!! You can’t ruin anything with cheese. That’s what I think, anyway! Garlic sounds like a fantastic addition!! I’ll have to add that next time as well!